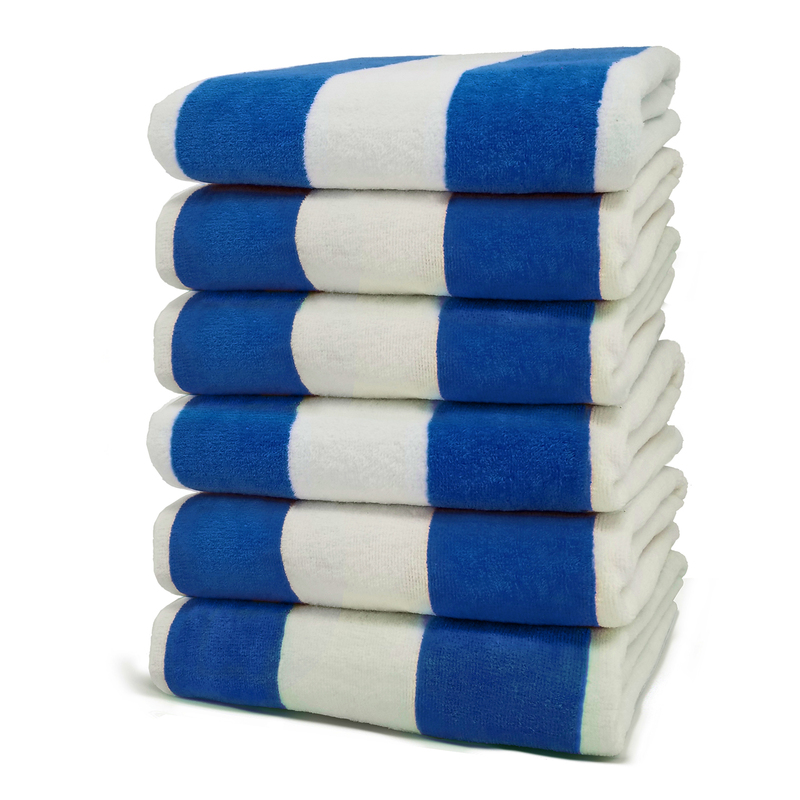 Perfect for discounted gift/souvenir shops or for that person who forgot their towel. 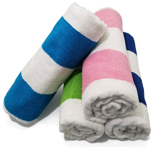 Great pool towels for a hotel on budget. 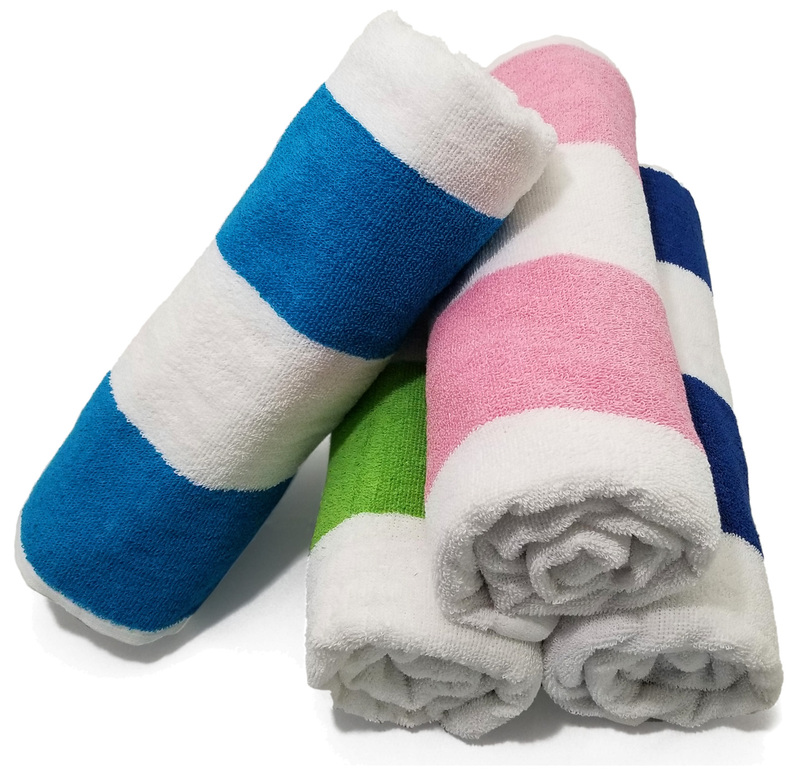 Made from 80% Cotton 20% Polyester fibers. 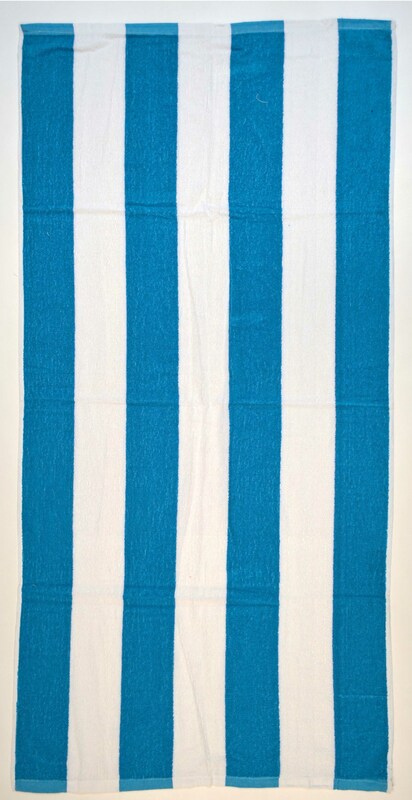 1 color In a full case (4 colors to pick from). 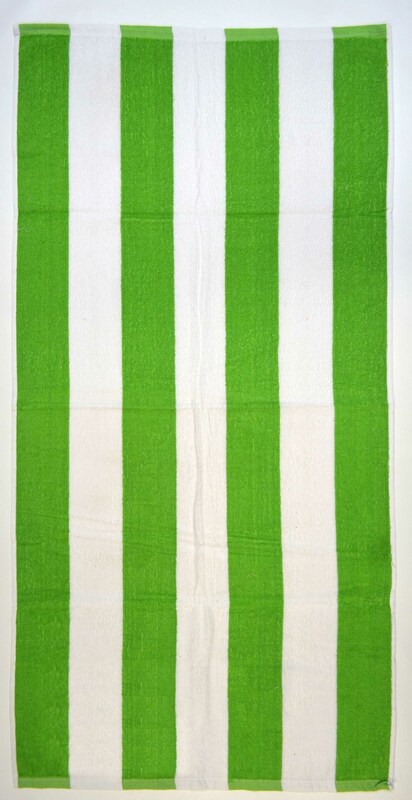 Stripes are 4 and a quarter wide each. 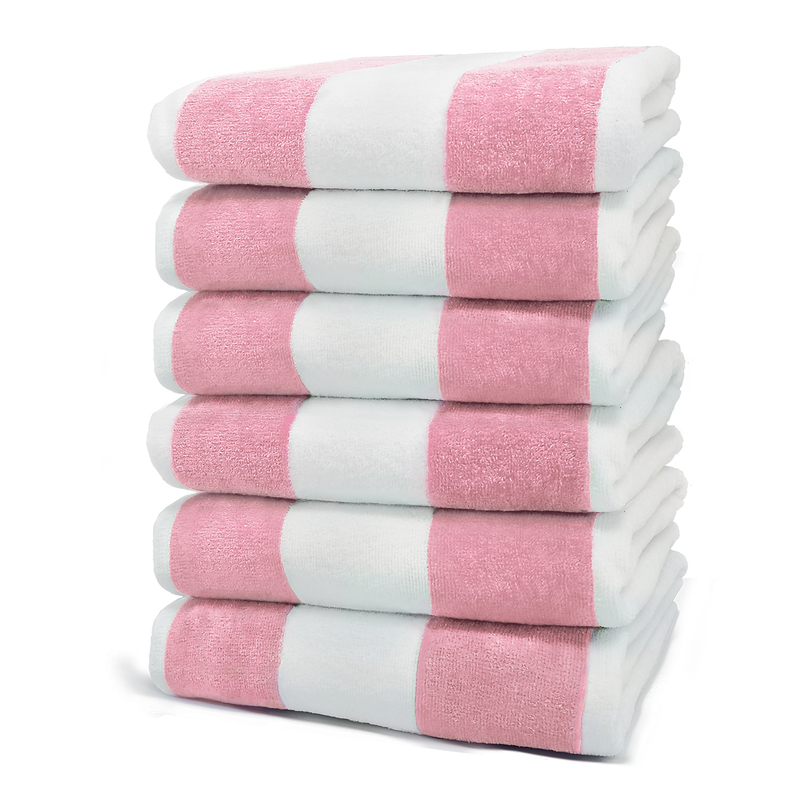 Home Wash Only, not recommended for Industrial type washing. 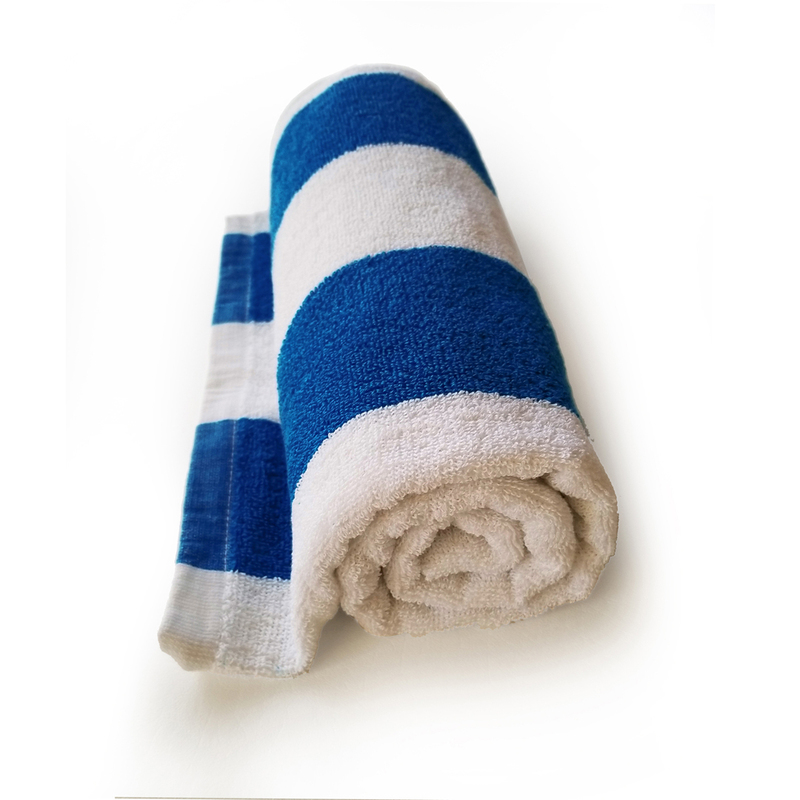 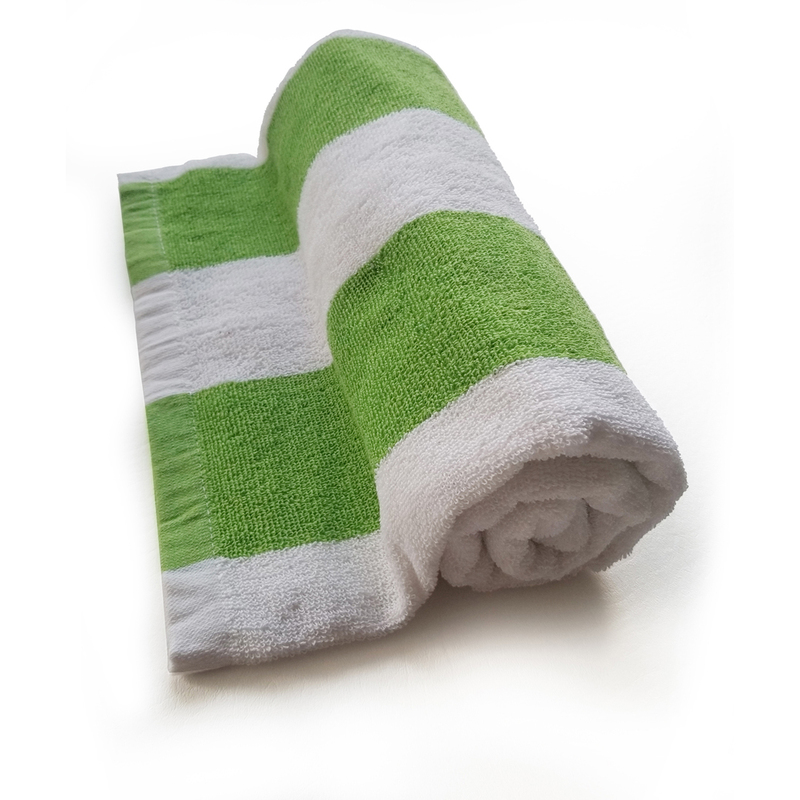 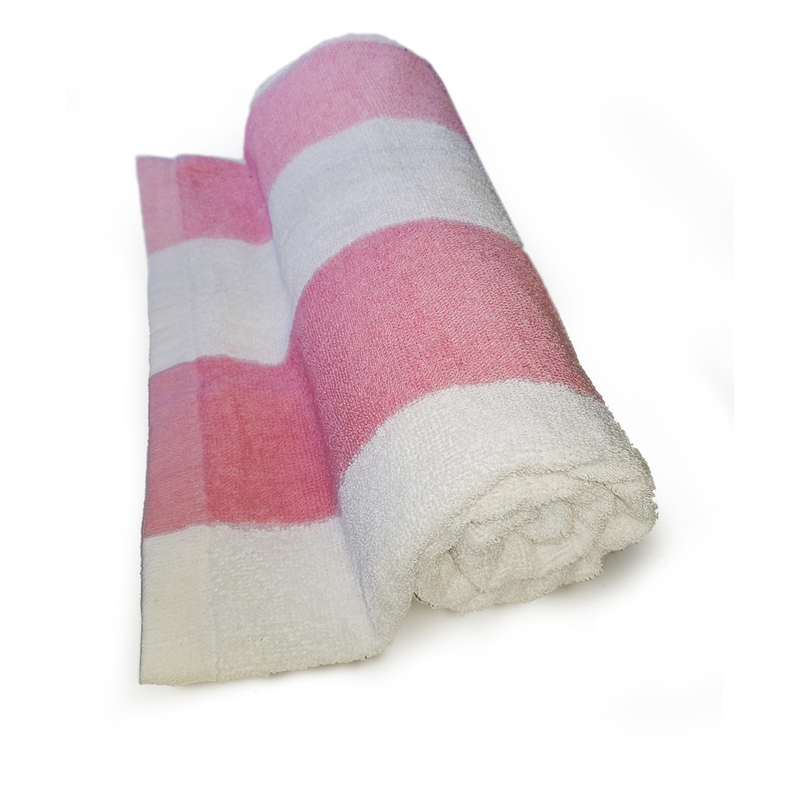 We can customize this towels with your logo ! Either Silkscreen or Embroidery.